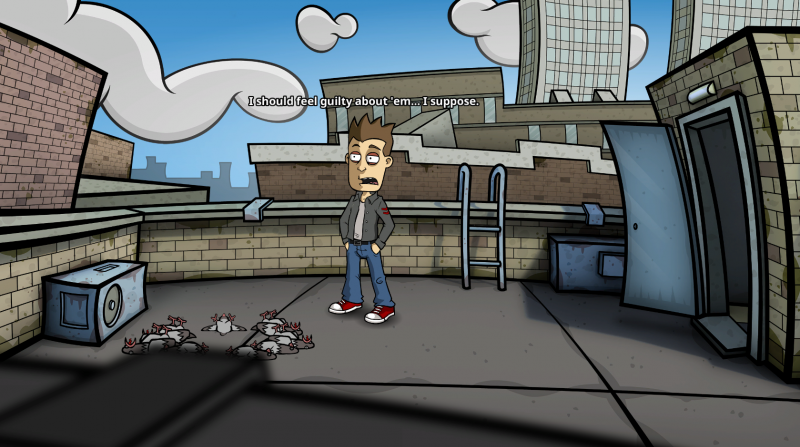 Randal’s Monday is the first game from Spanish developer Nexus Game Studios, and is a point and click adventure title that is focused on geek humor and pop culture. 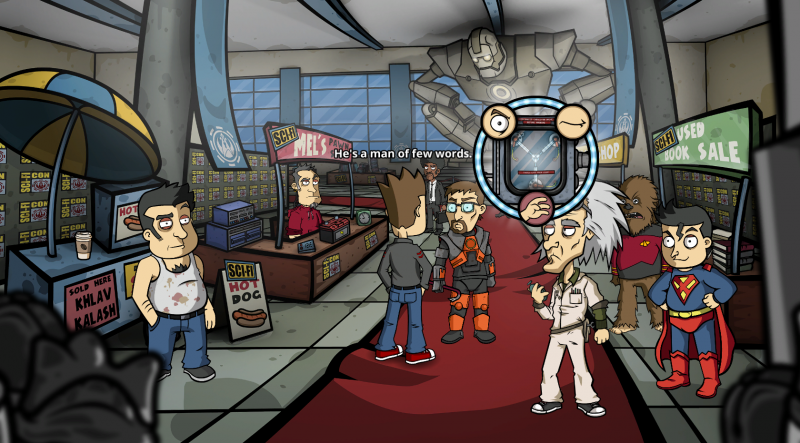 While not written by Kevin Smith, the game features a main character voiced by Jeff Anderson that’s not far off from his role as Randal Graves in Clerks as well as cameos from Jay and Silent Bob, so it seems highly likely that Smith gave his approval. Players step into the shoes of Randal, your typical slacker type who finds himself stuck in a time loop, unable to advance past Monday after taking the engagement ring that his best friend dropped at the bar. 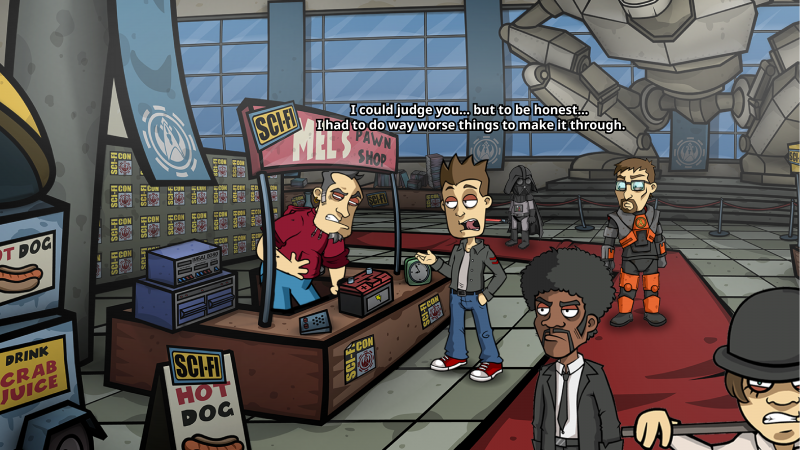 Nexus has attempted to deliver an over the top comedy adventure full of parodies, pop culture references, and crude humor, but the jokes become old a bit too quickly and the gameplay’s reliance on overly complicated inventory puzzles and constant loading makes it not as fun to play as one might hope. 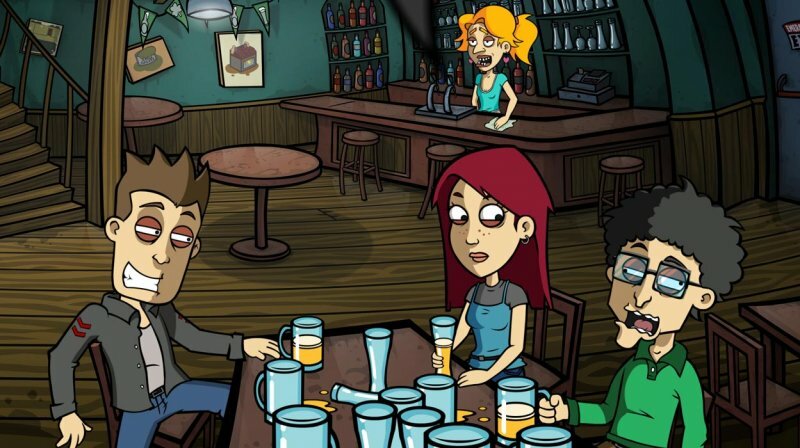 The story starts off in a bar, where Randal is drinking with his best friend Matt and Matt’s girlfriend Sally to celebrate their engagement. When Sally goes to get them another round of beers, Matt shows off a ring and says that he got it from a hobo in an alley in exchange for a Dorito. It turns out that Matt can’t hold his liquor that well, so he runs outside to throw up. In the process he drops his wallet, and Randal ends up keeping it unintentionally (though he is a bit of a kleptomaniac so this is debatable). The ring traps Randal in a scenario where he is stuck in a repeating loop of Monday’s, which usually involve Matt committing suicide, losing the ring, and a bunch of other weird events. This sets up a Groundhog Day style scenario, but the difference here is that everything that happens on a particular Monday directly impacts the next one. It’s an interesting set-up, as each Monday must be spent figuring out how to track down who currently has the ring and keep Randal from getting arrested, as Matt’s deaths become stranger each time and the police always suspect his involvement. 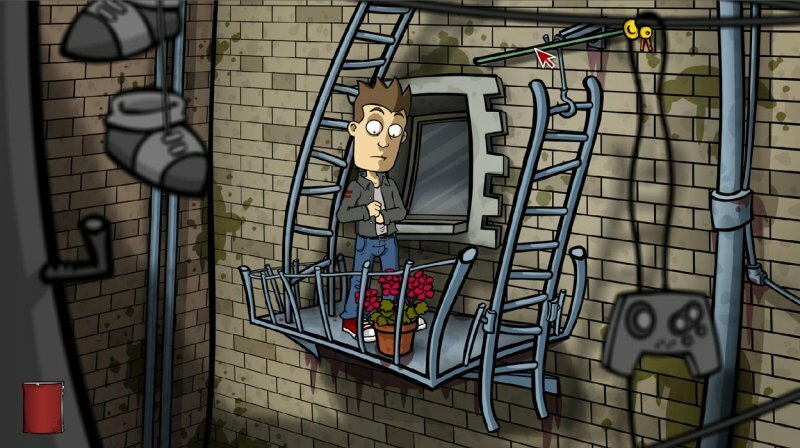 As you might expect from a point and click adventure game, this is not an easy task, as you’ll often have to solve a whole slew of other puzzles before you can actually accomplish what you need to on any given day. What quickly becomes apparent is that Nexus Game Studios is a fan of puzzles focused on combining random items in your inventory. 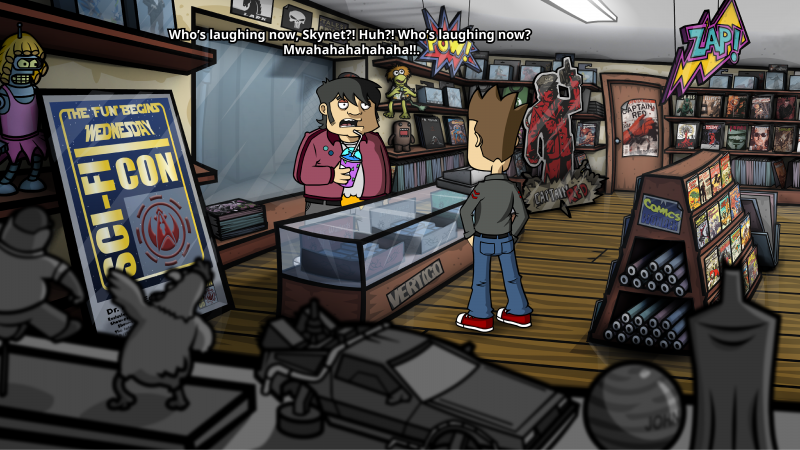 The inventory is handled by opening up a comic book at the bottom of the screen, and items can either be combined by putting them together on this screen or clicking them on a hotspot in the environment. Everything has been streamlined so that it is easy to combine objects or look at them to discover additional details, but if you would rather have the old-school adventure game set up where you must click to choose your action before doing it that is possible as well. Inventory puzzles aren’t necessarily bad by themselves, as plenty of games in the genre make use of them. But the developers have made almost every single one as bizarre and unpredictable as possible, meaning that the majority of the time you will have to click almost every item together in your inventory or a spot in one of the game locations hoping that it does something. Combine this with the fact that moving between locations results in a loading screen, and you have a title where the pacing often slows to a crawl as you travel from one area to the next with constant loading impeding your progress. There are some puzzles where the combinations are downright silly and the result that the player gets from putting everything together is worth the effort. But too often it just feels like a chore. One example of this is where it is necessary to get a cue ball from the bar, which will be used in a cuckoo clock to create a distraction. You can’t just take the cue ball, because the priest in the bar is using it, so you decide to make him a cocktail that will knock him out. To do so, you must put a razor blade, batteries, rat poison, and a rotten lemon in the drink. Chances are this wouldn’t be a solution you would necessarily think of and found by randomly clicking these items onto the hot spot, and if you don’t have all these items you must backtrack to figure out where to get them from. To be fair, there is an in-game hints system if you get stuck. But it’s not a traditional hints system. 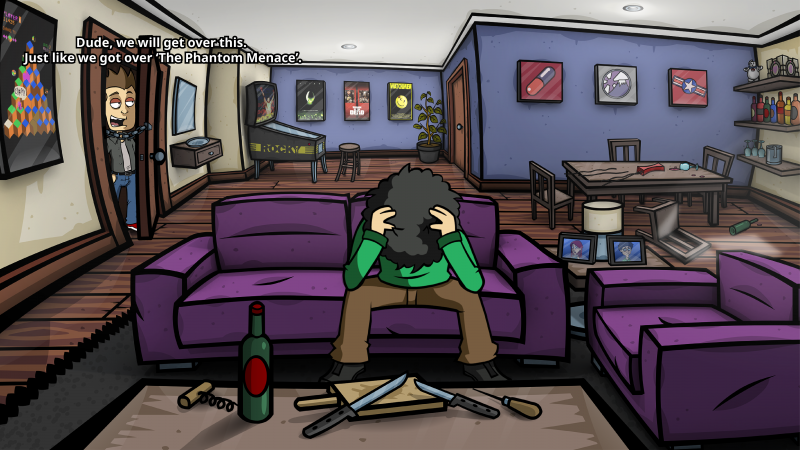 Instead, once activated the hints essentially act as a full walkthrough to the current chapter the player is on, telling them exactly what they need to do. It’s almost as if the developers knew just how convoluted many of the solutions were and decided that it would be best to set it up this way. I would’ve preferred if the hints had actually served as hints, rather than explicitly telling me what to do, but this wasn’t ultimately that big of a deal. What I did like was the ability to press spacebar to highlight all hot spots on a particular screen, as this made it easier to try and figure out what items I was supposed to grab. 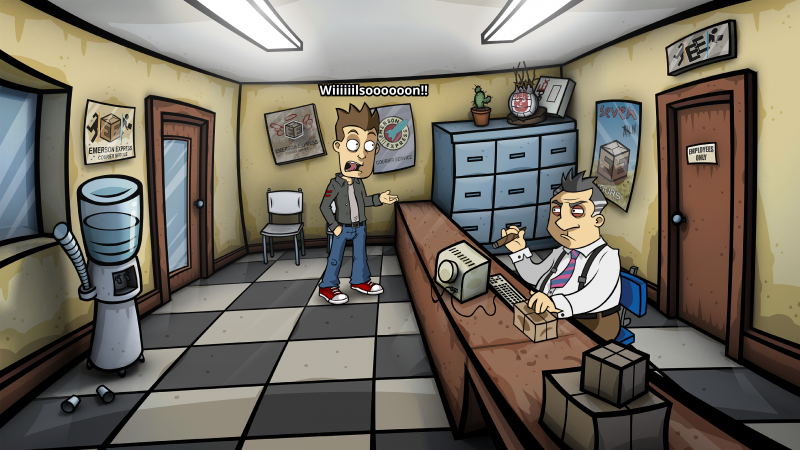 There’s nothing wrong with an adventure game using inventory combinations to progress, as there are plenty of older classics that utilize it, but the way Randal’s Monday handles it feels unnecessary. When a puzzle is convoluted but there is a payoff with the scene that occurs afterwards, you still get a sense of accomplishment and satisfaction. But when a puzzle is extremely complicated and all you get from it is an item that’s needed for another puzzle, it isn’t particularly fun, and that’s where the game stumbles. Sometimes even when a game’s mechanics aren’t the most solid, the storyline and characters are strong enough to keep players moving forward. 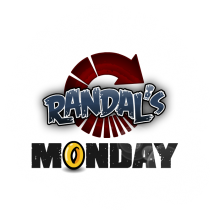 Randal’s Monday is hit or miss in this regard too, as while its combination of crude humor and pop culture references does result in some laughs the formula becomes stale a bit too quickly. The overarching plot is a bit slow to get going, and the first day or two mainly revolves around Randal acting out the standard slacker routine and providing humorous commentary on almost everything he encounters. 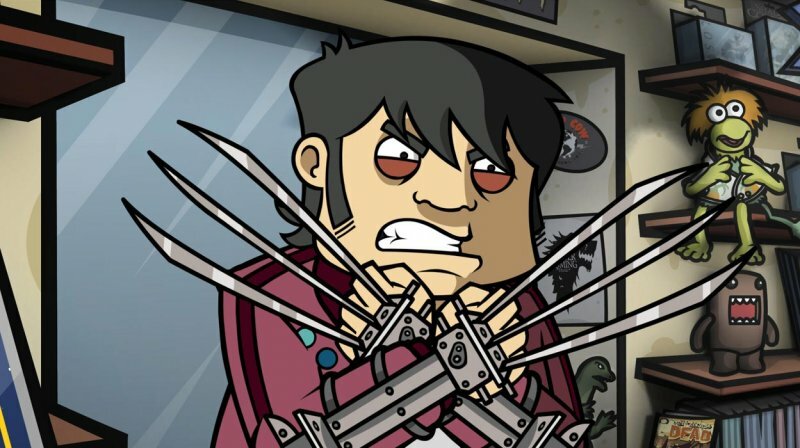 References are everywhere, and players will notice parodies of everything from X-Men to SNK. The pop culture bits do produce some laughs, particularly when they’re completely unexpected (such as a sentient security system named HAL or the comic book guy’s Wolverine claws). But for every moment that made me laugh, there were plenty where Nexus simply seemed to be attempting to cram in as many references into one scene as possible and this dulled the overall impact. Considering that when the story ramps up it actually does get interesting, particularly when the player is able to see what impacts their actions have on the world, it’s disappointing that far too many of the story scenes are simply one pop culture reference after the next without that much wittiness. There’s also quite a bit of toilet humor throughout the game, and while it too has some moments that made me laugh it became a bit stale by the time I made it to the end. Randal and the rest of the main cast are likely to be an acquired taste, and depending on how you feel about them will determine how much you enjoy the story. As I mentioned earlier, Randal is voiced by Jeff Anderson, and even though he’s not playing the same exact character from Clerks there are quite a few similarities between the two. He does a great job as the kleptomaniac slacker type, and if you enjoy this type of lead then you may find quite a bit of the dialogue to be amusing. 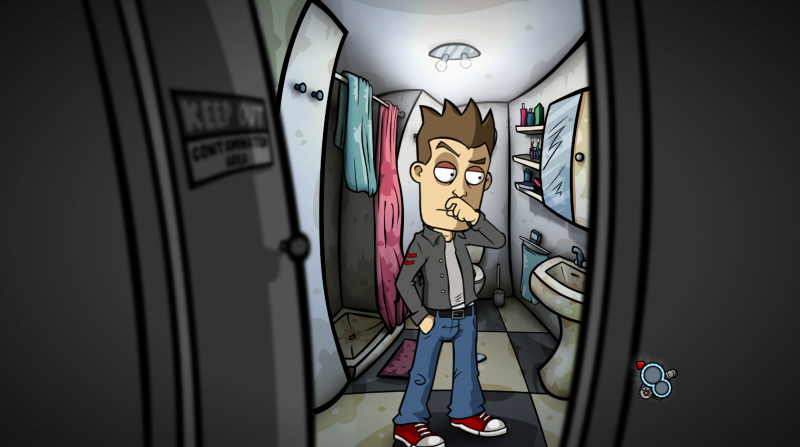 If you’re looking for any type of character growth though, then Randal’s Monday might not be the game for you. Although the environment changes and members of the supporting cast sometimes end up acting or looking entirely different based on what elements Randal messed with the previous Monday, he still acts the exact same throughout the entire game. That means that if you don’t find him particularly likeable at the beginning, this won’t change for the rest of the 9-10 hours it takes to play. The supporting cast has similar personalities, as just about every single one is either cynical or completely off the charts weird. There’s a sense of sleaze and seediness to just about everyone you meet throughout the course of the game, and that fits the overall tone the developers are going for. The graphical style is likely to be another area that will divide people. 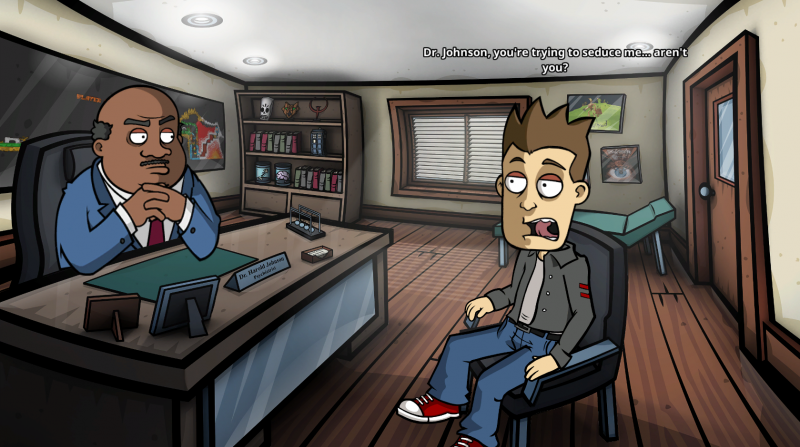 Nexus Game Studios has given the title a look that is reminiscent of an adult cartoon. While I’ve seen some comments comparing the graphics to a Flash cartoon, I don’t think that’s really giving the team enough credit as the animation is fluid and the character models and backgrounds are a bit higher resolution than you would typically see from the average Flash short. Although I had experienced some performance issues with an earlier preview build (occasional freezing when using the hotspot finding option and character models randomly disappearing), the final review build didn’t have any of these problems and performance was flawless. There were still some occasional audio issues though, as during certain scenes the dialogue would drop so low that you could barely make it out. Subtitles are enabled by default so you can still catch what is being said, but considering that a lot of the humor is driven by the performances of the actors and actresses it is an issue. Hopefully Nexus will be able to correct this in an upcoming patch, as while it isn’t a game breaking problem it will likely annoy some players. 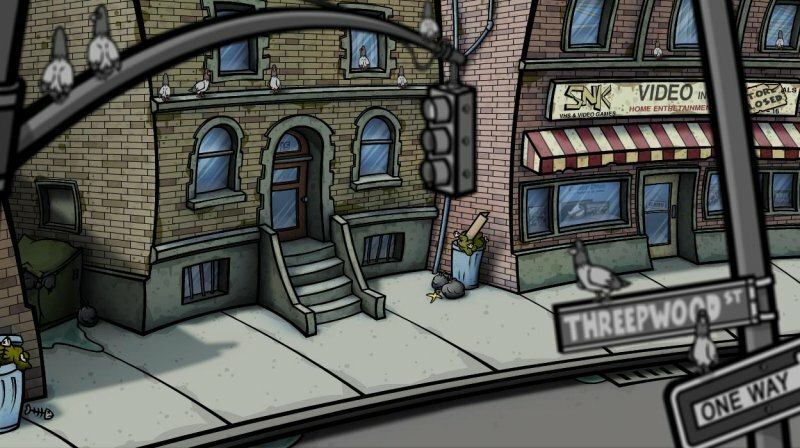 It’s clear that Nexus Game Studios had good intentions with this title, attempting to create a PC game that goes for the Clerks style of pop culture reference/gross out humor mixed with classic point and click adventure elements. 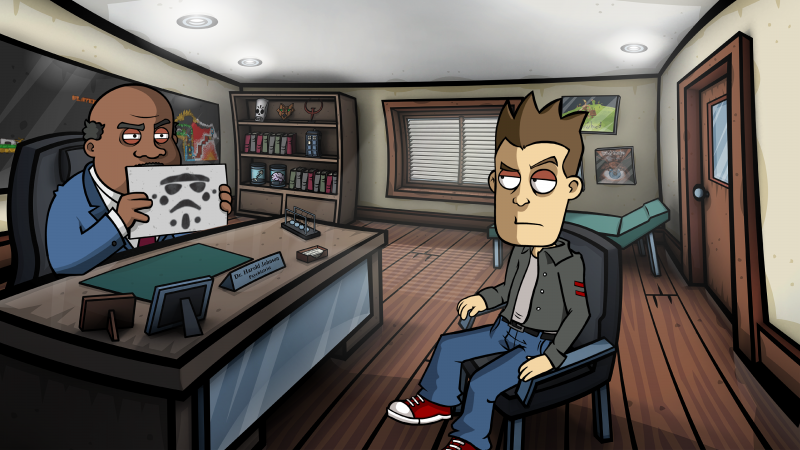 But despite the fact that they were able to get Jeff Anderson on the project and have a visual style similar to many of the late night cartoons out there, Randal’s Monday just isn’t really that fun to play. 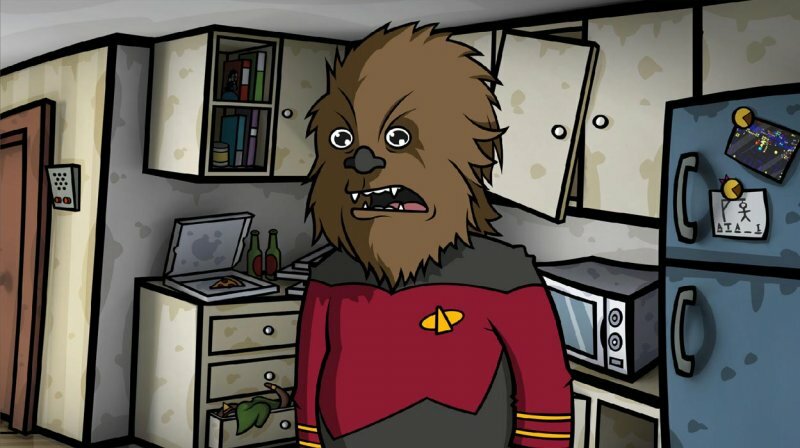 There are far too many moments where the pop culture references are thrown about just for the sake of it, and the gross out humor is repeated in a similar manner to the point that it becomes tiresome over the nine to ten hour run. Combine that with puzzles that require frequent backtracking with regular loading screens and convoluted inventory combinations for even the simplest objective, and you have an adventure game that ends up being more frustrating than funny.